Mayawati claimed that people have lost faith in EVMs, and if the same system continues till 2019, “there will be no democracy left in the country”. NOT WILLING to accept defeat, BSP chief Mayawati on Saturday wrote to the Election Commission (EC) and accused the BJP of tampering with the electronic voting machines (EVMs) used in Uttar Pradesh and demanded fresh polls with ballot papers. Denying her allegations, the EC cited court orders endorsing EVMs, and said it has put “elaborate technical and administrative safeguards” in place to ensure “error-free functioning”. It said Mayawati’s demand for a repoll wasn’t legally tenable. Asked about Mayawati’s allegation, Akhilesh Yadav later said that the government should investigate the charge. In Dehradun, Harish Rawat attributed Congress’s poor performance to “Modi revolution” and “EVM magic”. Of EVMs used in UP, roughly 70,000 were sourced from West Bengal, 80,000 from Tamil Nadu, 20,000 from Kerala and 25,000 from Assam, an EC official said. No political party had questioned EVMs used in these states in 2016, the official added. Talking to reporters at her residence in Lucknow earlier in the day, Mayawati had demanded fresh elections after replacing EVMs with ballot papers. “These election results are very shocking; they are hard to swallow. This suggests that voting machines did not accept votes cast in favour of parties other than BJP, or that votes cast for other parties were also registered as BJP’s,” she alleged. In a letter to Chief Election Commissioner Nasim Zaidi, BSP general secretary Satish Chandra Misra said that “grave manipulations have been done in the voting machines by experts of technology and software field hired by BJP in such a manner that particular number of votes, as desired by BJP, will get automatically transferred to BJP candidates in every constituency, even though they have actually been polled in favour of BSP or other political parties”. He claimed that BSP’s counting agents informed the party that several polling booths, with “more than 40 per cent to 50 per cent Muslims votes”, saw “almost all votes…(cast) in favour of BJP”. Mayawati claimed that people have lost faith in EVMs, and if the same system continues till 2019, “there will be no democracy left in the country”. 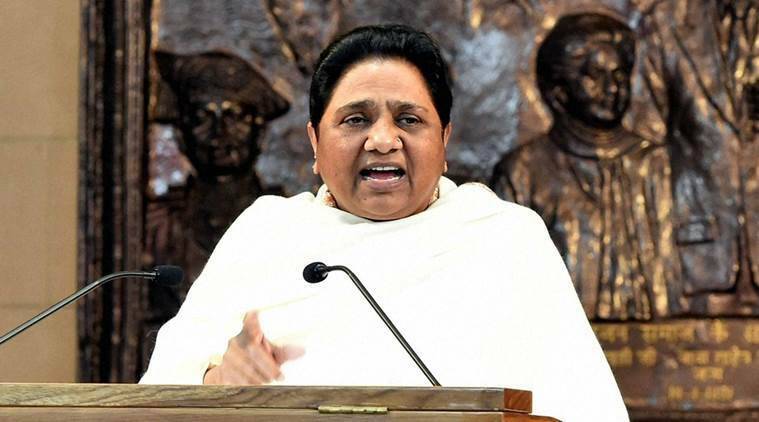 When told that the BSP had won 206 seats in 2007 UP elections through the same EVM-based elections, Mayawati said it was because the “Congress was in power then”. She did not reply when asked how the BJP could get EVMs “manipulated” in 2014 when Congress-led UPA government was in power at the Centre. She claimed the BJP could not “gather courage” to tamper EVMs in Punjab, where Congress won the elections, “as it would have been caught there”. The EC noted that “independent committees and technical experts have endorsed the machine time and again”, and that the Commission has “firm conviction and complete satisfaction that EVMs cannot be tampered with”.